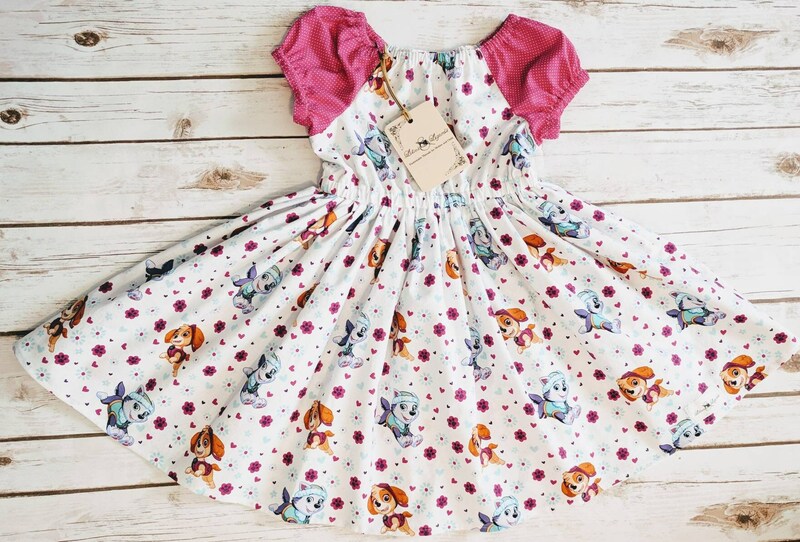 Adorable character dress featuring Skye and Everest with pink/white dot contrasting sleeves. I'm happy to change the sleeve color if you would prefer something else, just send me a PM! Crafted using cotton that has been washed and dried for pre-shrinking. I do not use any soap or fabric softeners during this process. Pre shrinking of the fabric ensures the dress will not shrink when washed, and that you may put it in the dryer after washing. Choose from flutter or short sleeves. 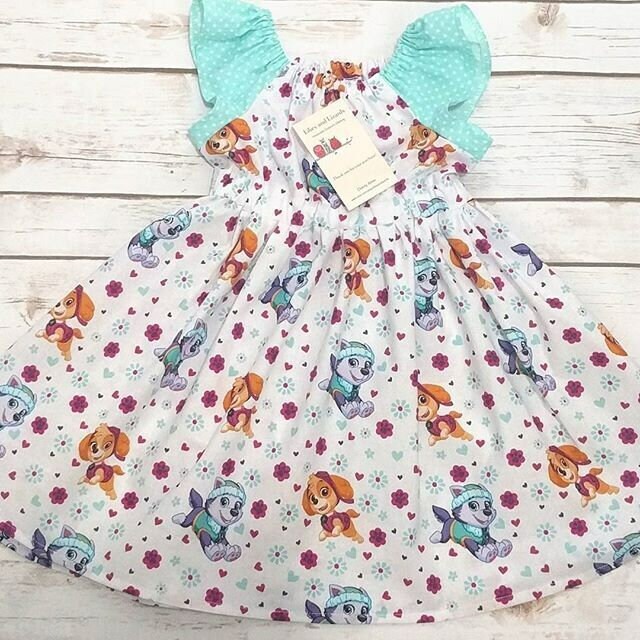 Dress has elastic neckline and elastic waist. Short sleeves have elastic cuffs.